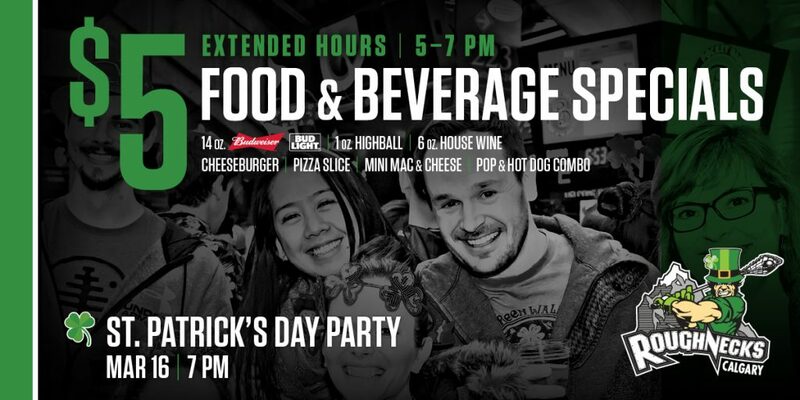 $5 Food and drink specials will run from 5 – 7 PM. Join us on the concourse from 5 – 7 PM to play some interactive pub games with your friends, and check out our St. Patrick’s Day photo booth! Limited quantities available for purchase at the FanAttic when doors open. Game-worn jerseys will be auctioned off starting Mar. 16 at 7:00 PM. Check out the 2019 limited-edition jerseys below! 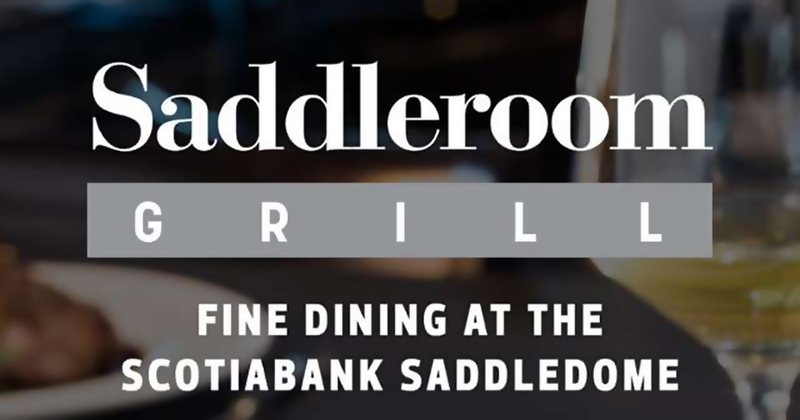 Get into the St. Patrick’s Day mood with a live halftime show with Irish music from The Calgary Fiddlers! Head to the Chrysler Club after the game for an awesome tailgate with live music from Swift Olliver! Stop by to keep the party going and meet some of the Roughnecks! 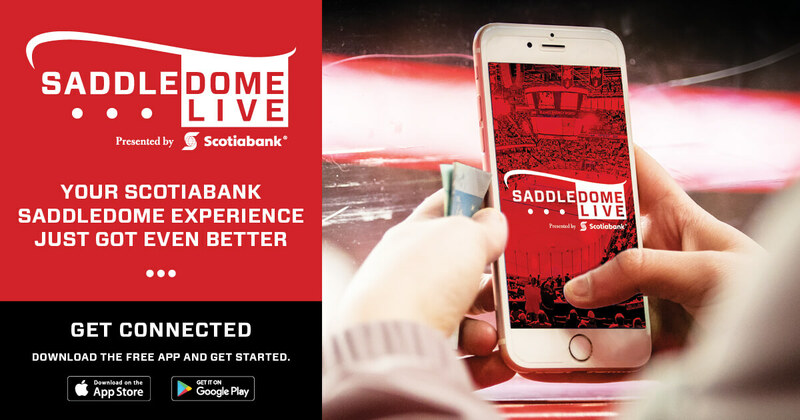 This home game the Scotiabank Saddledome doors will welcome fans at 5:00 p.m. for an EXTENDED $5 Happy Hour featuring food and beverage specials at all concourse concessions. The $5 menu will run from 5 – 7 PM. during our St. Patrick’s Day Party. 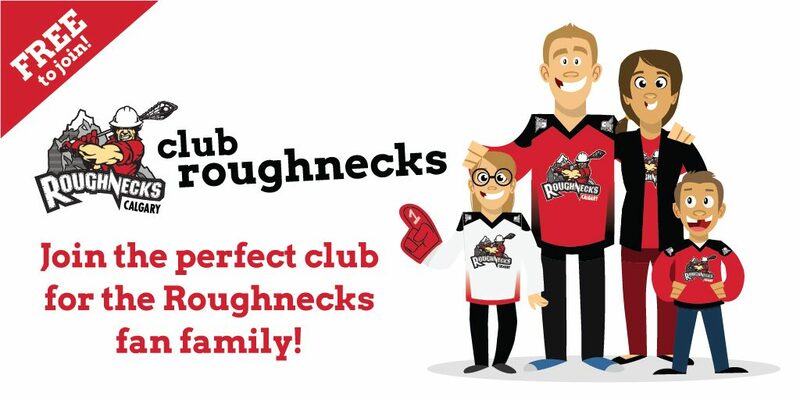 Club Roughnecks is your FREE all-access pass to exclusive discounted ticket offers, special event invites, contests and information about all family-related activities from the Calgary Roughnecks. There is no age limit to register – all family members are welcome. 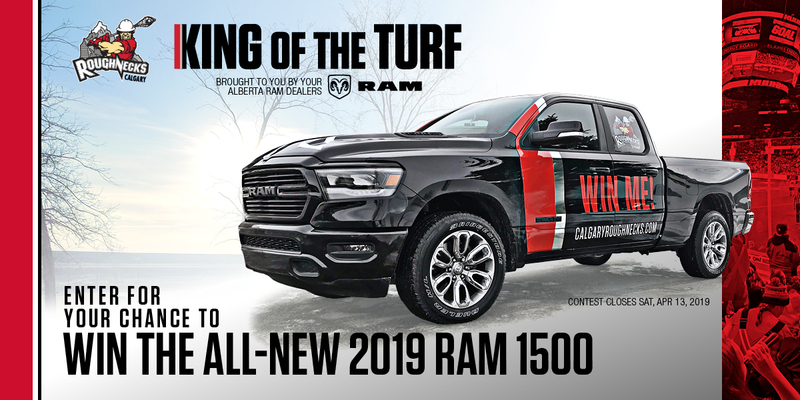 All you have to do is add yourself to our Club Roughnecks email list and you’re in!